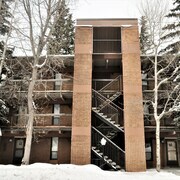 These condos are located throughout the area in Frisco. Very convenient location in Frisco. Easy access to I70. Comfortable room. This place has real character, well located and parking is good. The staff was really great, from checking to the spa. I received a personal tour of the property upon checking in. Well done, and will stay there again. The only challenge was that that free breakfast started too late for me to enjoy. Where to find Frisco hotels near an airport? How can I find hotels in different Frisco neighborhoods? Where can I find hotels in Frisco that are near tourist attractions? Frisco has an array of first-rate lodging possibilities. Approximately 80 accommodation options can be found within a 0.1-kilometre (0.06-mile) radius of Frisco's city center. Among the most centrally located hotels of downtown Frisco are the Mountain Managers at Frisco and Frisco Condo Collection by Bighorn Rentals. 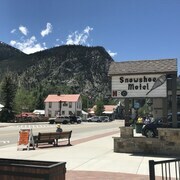 The Hotel Frisco, Frisco Lodge and Frisco Inn on Galena Street are excellent accommodation options for vacationers chasing more economical hotel accommodation. 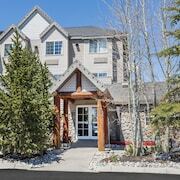 The One Breckenridge Place Townhomes by Great Western Lodging is located 12 kilometres (7 miles) away from the center of Frisco. 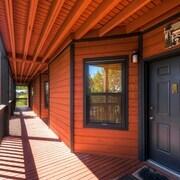 Another alternative is the Saddlewood Townhomes by Wyndham Vacation Rentals, which is located 12 kilometres (7 miles) away. 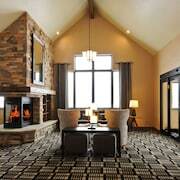 Two more places to stay are the Ten Mile Haus By Copper Vacations and the One Ski Hill Place, A RockResort. Leadville is 40 kilometres (23 miles) to the southwest of Frisco and is home to the Ski Cooper and Mount Massive Golf Course. 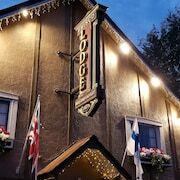 Expedia-listed Leadville accommodation options include the Super 8 Leadville CO and Delaware Hotel. 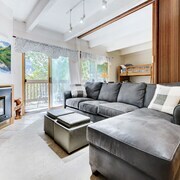 9 kilometres (6 miles) to the southwest of Frisco, you'll also find Copper Mountain, which is home to the New Village By Copper Vacations and Copper Mountain Condo Collection by Bighorn Rentals. The Copper Mountain Ski Resort and Copper Mountain Racquet and Athletic Club are popular attractions to experience in Copper Mountain. If you love sports and love watching local games you might choose to make a trip to Pepsi Center, which is 95 kilometres (59 miles) to the east of Frisco. Those sports fans wishing to sleep close to the action can take their choice from the Four Seasons Hotel Denver or the The Ritz-Carlton, Denver. Look up our up-to-date Frisco travel guide and explore the many scenic and cultural attractions that this area has in store. What are the most popular Frisco hotels? Are there hotels in other cities near Frisco? 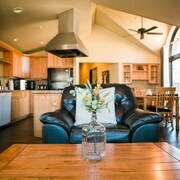 What other types of accommodations are available in Frisco? Explore Frisco with Expedia.ca’s Travel Guides to find the best flights, cars, holiday packages and more!